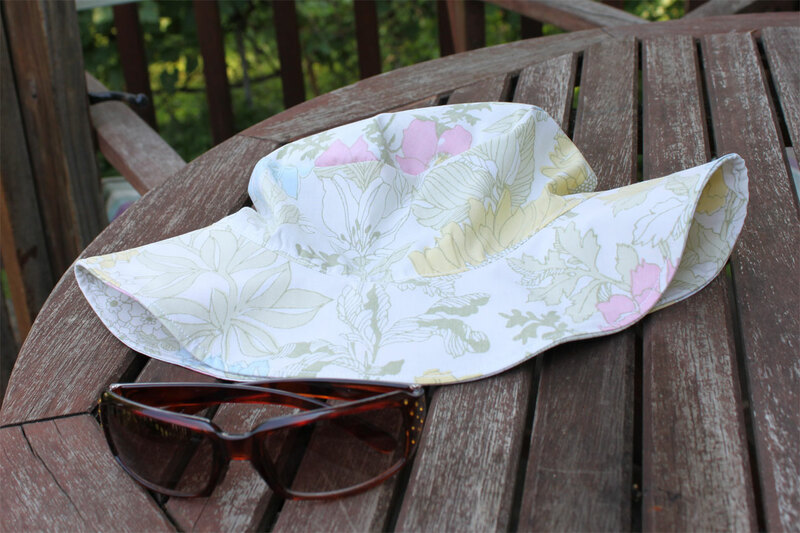 All the sunhat-making I did a couple months ago for the kids inspired me to alter the pattern a bit for myself. So I did, and this is the result. It’s made from one of the sheets from my thrift store buying spree of a few weeks ago. I have, it turns out, a particularly small head (spare me the jokes–it’s too easy) and thus have a very difficult time finding hats that fit. I adjusted the toddler pattern up just a wee bit, and now I have a hat to fit my own just-bigger-than-a-toddler (oy) head. And what did the little guy do all this time? This isn’t a flattering picture of him, but it captures the current era. He’s, like, so over being horizontal. (Insert some little baby eye-rolling at Mom if she suggests he lie on his back.) 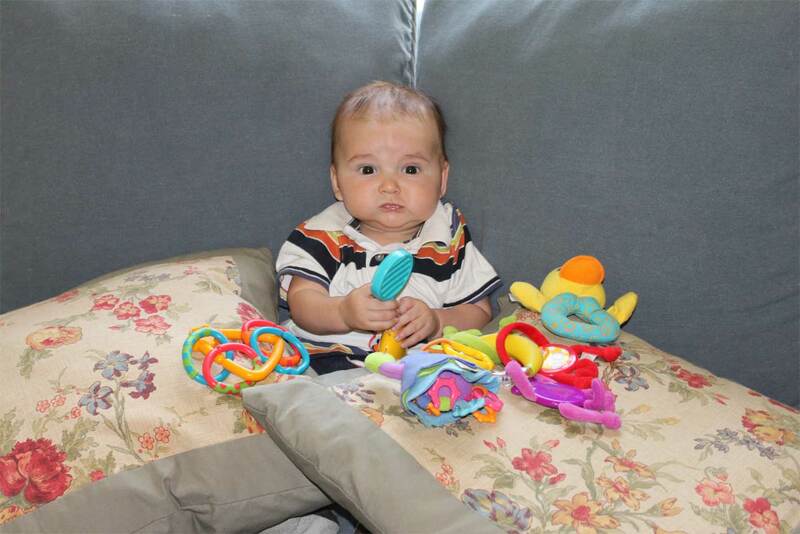 Now it’s all the rage to be sitting up like a big boy, with a smorgasbord of delicious toys to grab and chew on. He’s at that funny stage where he can get toys to his mouth but can’t let go, so in certain circumstances he really causes himself grief by retracting his hand and taking whatever delicious rattle or pacifier was in his mouth with it. Poor kid.